La Perla Villas is a cluster of cave houses in the heart of the caldera and of newly built villas. 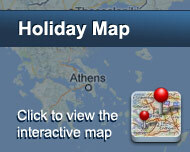 A hotel officially characterized and approved as “Traditional”, by the Greek National Tourism Organisation (GNTO). 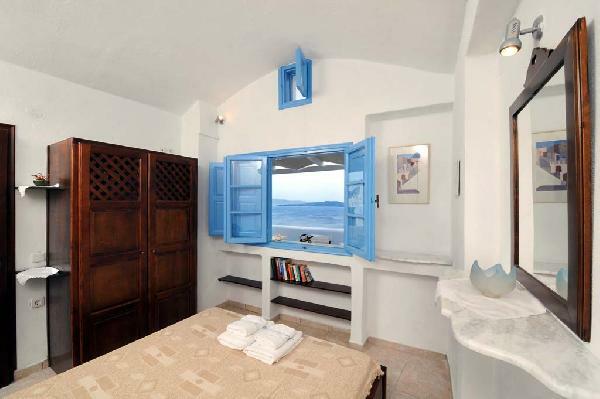 La Perla Villas is built in a privileged location, in Oia, about 11 km from Fira, the island’s capital. The village of Oia is sited on the north part of the island, 150 km above sea level. It is a traditional settlement, which has been identified as preserved. The cave houses of Oia and other, traditional ones, create a dreamy scenery. Oia has become famous all around the world for its magnificent sunset. It is the time when sun disappears into the Aegean sea creating a unique scenery. Every day sunset thousands of people gather at the Caldera in order to enjoy the spectacular view. A walk around the picturesque alleys of Oia reveals many coffee shops, bars, restaurants and taverns. There are numerous hotels that offer high quality services and the best view of the Caldera. Authentic renovated cave-houses and new villas, built in the traditional dug-out manner which have been constructed along old lines and according to the strictest criteria to satisfy the most demanding visitor. Situated in the best part of the village, from where the view is the most spectacular possible, La Perla Villas is within a walking distance from the bus stop and from all shops and restaurants of the village. Είστε ιδιοκτήτης ή διευθυντής στο LA PERLA VILLAS; Εγγραφείτε τώρα για δωρεάν εργαλεία, που μπορείτε να χρησιμοποιήσετε για να βελτιώσετε την καταχώρησή σας και να συνδέσετε την ιστοσελίδα σας και το σύστημα κρατήσεών σας.